When I first went vegetarian full-time (a year and a bit ago) I did some unsuccessful experimentation with ‘meat-substitutes’. 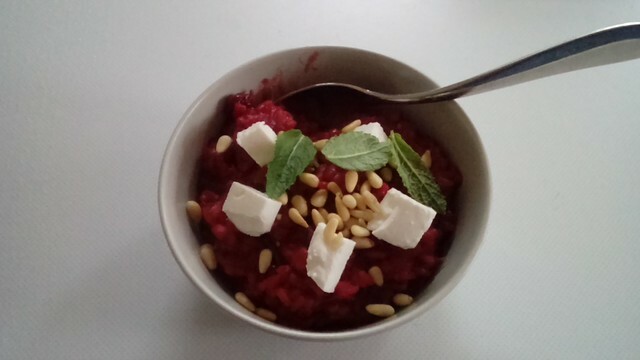 Recently I decided to try again in my quest to manage a varied diet with the need for quick and easy post-work cooking to balance out the more organised bulk cooks that I do. I’m pleased to be able to say that I have finally found a way to eat quorn that I enjoy. The answer apparently is curry. One thing I miss about chicken is being able to stir fry some protein with some mushrooms, dump a jar of sauce over it, chuck it in a bowl and eat it with poppadoms/naan bread/prawn crackers as appropriate. But, I have discovered that frozen ‘chicken style’ quorn works as a perfect substitute. There’s something about the spices in curries that penetrate the quorn much more effectively than those used in Mexican food. So for example, even a jar of something mild like Korma will mask that distinctive quorn flavour! Success! I expanded this out in two exciting directions last week. 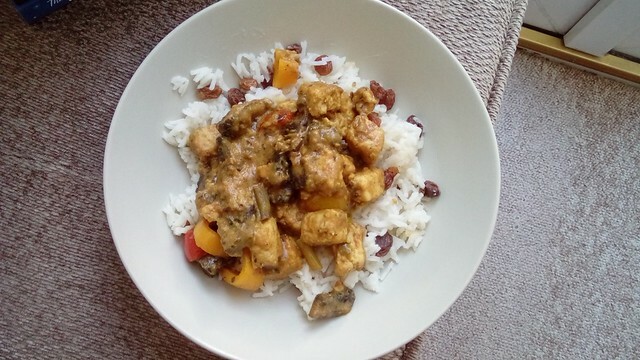 Having had success with the aforementioned jar of korma, I got a little bit more adventurous and picked up a jar of Keralan curry paste, a couple of handfuls of quorn, some mushrooms, spring-onions and half a can of coconut milk later – lots of delicious curry was served. I even managed to knock up a decent pilau with some massive raisins (left-over from the ones I steeped for my quinoa-that-wasn’t dish a few weeks back), some whole spices (carefully counted cardamom pods and a couple of sticks of Thai lemongrass) and some flaked almonds. 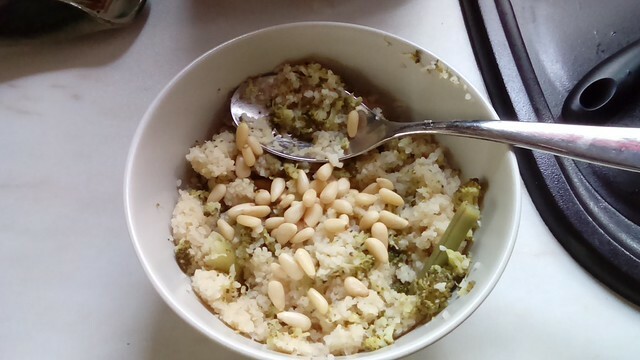 Tasty, quick and easy and almost entirely made up from stuff I already had in my cupboards. I’ve never had Keralan curry before so that was an adventure but it’s delicious – pleasantly fennelly but not overwhelmingly so. I do love daal best, but sometimes I want Indian food without spending 3 hours messing around with lentils and fried spices. After the success of incorporating quorn into Indian food, I decided to venture into East Asian food. I made an old favourite of mine, sesame hot noodles. I doubt its remotely authentic but it is very tasty. 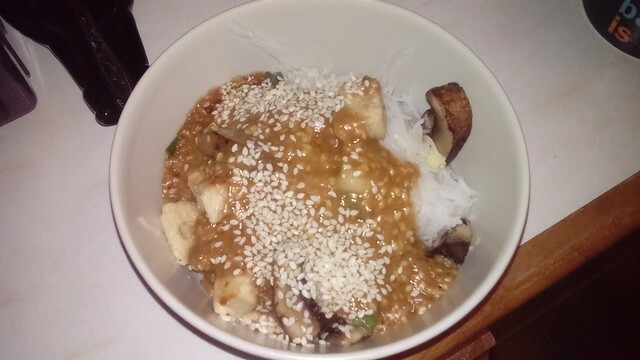 The sauce is made by combining peanut butter, sesame oil, soy sauce, lime-juice, chilli and sesame seeds. It’s a quick and easy dish and I’d resurrected it because I needed to do a bulk cook and had zero motivation to do so. But while I was waiting for the noodles to cook, I noticed in my notes for the recipe (I have a little notebook of recipes I’ve gathered over the last 10 years) mentioned bulking it out with chicken and mushroom. I’d already stuck a few bits of baby corn, I’d found lurking in the salad box, in with my noodles. Feeling inspired I grabbed a handful of quorn, a couple of mushrooms that need using up (I nabbed them from the reduced section) and a couple of spring onions stir-fried them until everything was cook and threw them into the mix. Voila! Suddenly my super-lazy emergency dinner looked like a proper meal!